Free shipping for online orders of more than 100$, before taxes, within Canada. Do not use pure essential oils. Essential oils are diluted in a vegetable oil when applied to the skin. Carry out a skin tolerance test in the crook of your elbow at least 48 hours before using the oil on the skin. Do not use the essential oil if you notice a reaction such as redness, itching or stinging. Avoid contact with eyes and mucous membranes. Essential oils should not be applied to the eyes, the eye contour area, neither into the ears. In case of contact, apply a plenty of vegetable oil and take promptly medical advice. If symptoms persist or worsen when using essential oil, consult a health care practitioner. If you have epilepsy or asthma, consult a health care practitioner prior to use. Avoid exposure of applied area(s) to the sun. If you are pregnant or breastfeeding, do not use essential oils. Store in airtight, light-resistant container at room temperature. The information contained on our site is presented purely for information purposes and cannot, in any case, bind the responsibility of the company. In no way does this information constitute a recommendation for preventive or curative treatment, prescription or diagnosis, nor should it be considered as such. Vegetable oil extracted from the tiny seeds of borage, this pretty blue star-shaped flower has anti-fungal properties, moisturizing and regenerating recognized. It is rich in gamma linoleic acid and also includes all fat-soluble vitamins: ADEK. It helps relieve eczema-irritated skin but is gentle enough to moisturize and regenerate even the most delicate intimate mucous membranes. 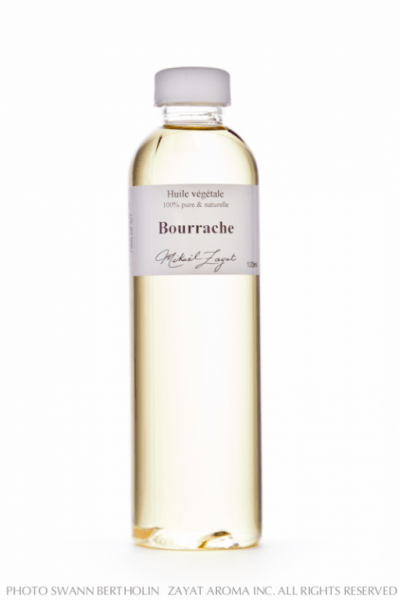 This borage vegetable oil from Malaysia, 100% natural and first cold pressed, is regenerating and restorative. It is extracted from the tiny seeds of its beautiful flowers in soft blue star shape. 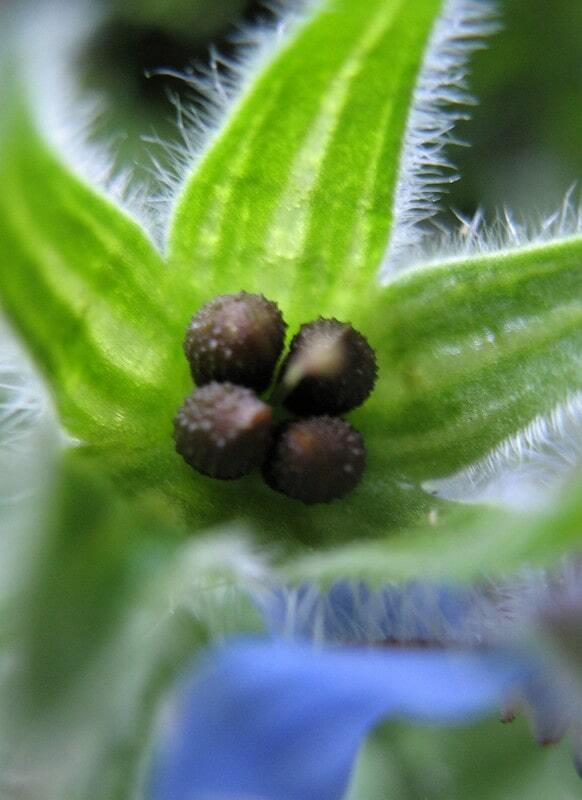 Borage oil contains a high level of 25% gamma-linolenic acid. Often used in synergies to prevent and treat stretch marks, it preserves and gives elasticity to the skin. In local application, it is a precious oil to relieve vaginal dryness and irritation caused by vaginitis. Keep away from children, air, heat and light. For further information about this product or to inquire about larger quantities, please send us an email and we will get back to you as soon as possible. The availability and price of this product may vary without prior notice, if for some reason the quantity you have requested is currently unavailable, we will contact you shortly to discuss the best options to fulfill your needs. The information on this website is provided for educational purposes only and is not intended to diagnose, treat, cure or prevent any illness or medical condition. This information has been gathered from a variety of sources and has not been review by Health Canada or a medical professional. Please refer to a qualified health practitioner or medical doctor for any health concerns. ZAYAT AROMA cannot be held responsible for any damages resulting directly or indirectly from the use of this information or our products. See full disclaimer. ZAYAT AROMA is a family enterprise committed to offering the best in Holistic Aromatherapy since 1985. We are specialized in the distillation and distribution of essential oils and other aromatic products 100% pure and natural. ZAYAT literally means to “The One who Makes the Oils”.